Meeting Our Kids – John H.
This Inn is exactly half the way between both cities, and there are nice restaurants near by…we always look forward to these visits, and appreciate the accomodations and staff very much..
My family, our dog and I stayed at the Red Roof Inn in Pittsburgh. One of the first things my wife commented on when we walked into our room was the hard wood floors. It makes it feel more like home and also helps the cleaning staff keep up with the messes some animals (and people) can make. We were missing a shower curtain and when we let the front desk know, they were quick to respond and bring us one. Other then that the room was perfect. It was a warm day and someone had already turned the air conditioner on for us, so the room was nice and cool when we arrived. There were no stains on the sheets and there were enough towels for the three of us. There was a small grassy area for guests to walk their dogs at the back of the hotel and it was very nicely kept up and clean. That was amazing since there was a dog show in town that weekend and there were a ton of dogs staying there with their owners. For the hotel being in such a busy community, there was peace and quiet on the property. We have another reservation at the same location for October 5th through the 8th and my family and I very much look forwarding to the return visit. Red Roof Revival – Patti B. Wow!!! It is like being in the lap of luxury! I have been staying in Red Roof Inns for over 10 years, all over every inch of New England and New York, due to the fact that I am on the dog show circuit. I am so thrilled by the changes, everything is so new and clean and upscale….it was absolutely a shock to walk into my first restored room. thank you red roof for all the wonderful hospitality. MIA, the hotel is minutes away, and shuttle runs like every 30 minutes or so. I was taking a cruise from port of Miami, and they have a free shuttle to that also. The hotel itself is beautiful, they have a new renovated hotel, room are huge, well kept and clean! Staff is helpful and friendly. I was given a free upgrade, due to past stays, but was not signed up for rewards. Ms. Stacie, at registration was a breeze to work with. I was not scheduled to stay the night on return from cruise, but did, and stayed with them again!! 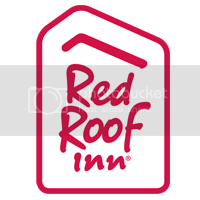 I would highly recommend this Red Roof Inn!! Thanks for the wonderful stay, and assistance to my final destination! We checked into the Red Roof San Antonio Riverwalk location on September sixth at about 8:30 at night with my husband and my poodle. I waited while the gentleman at the front desk patiently was trying to talk to two ladies from Asia (Japanese). with her pink ribbons in her ears. The only PET friendly hotel in town (there were some others but wanted an arm and a leg for a pet fee, Red Roof did not charge a fee). We stayed at the Red Roof in Helen , GA. 10/28/2016. First is was beyond what we expected. Super nice, big clean room, WOOD floors so we did not have to worry about any accidents that may have happened. Comfy beds and linens. Nothing like other places up there that have horrible beds. The staff was wonderful and we just wanted everyone to know if you are going to Helen Ga stay here. Also it was not over $200.00 a night like almost ALL the other hotels up there. Very close to everything in town. Breakfast was great also.